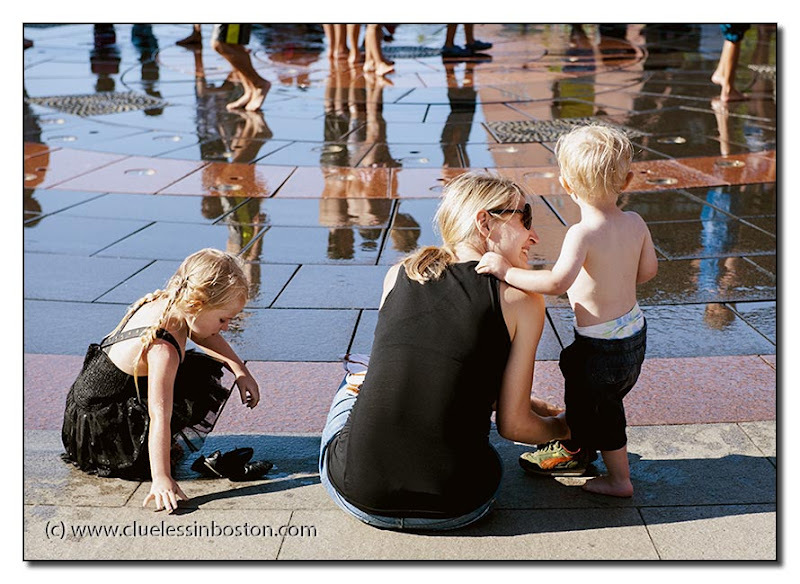 At one of the fountains on the Rose Kennedy Greenway. A pleasant family scene, Clueless. A fun way to cool off!